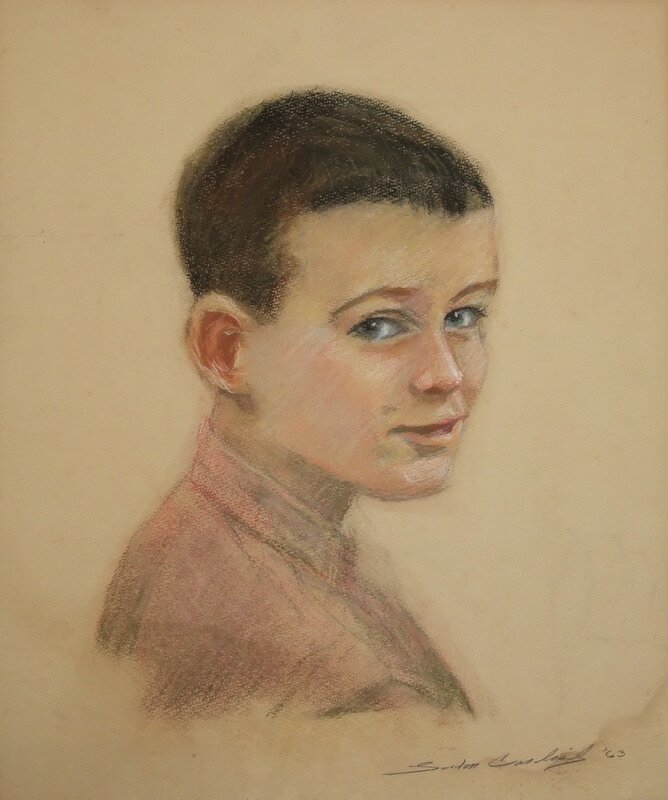 As a boy growing up in suburban New Jersey, Gordon Carlisle (born 1951) began by studying pastel portraiture at Montclair's Yard School of Art. 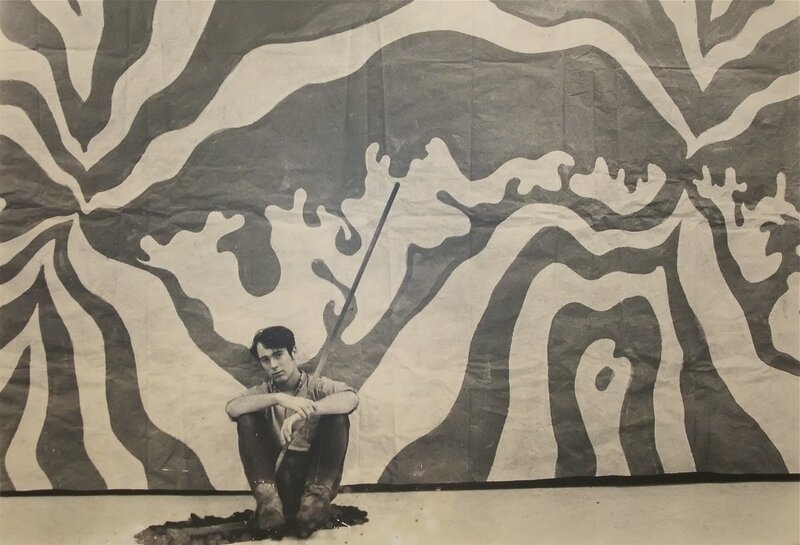 Later in high school, he created his first wall murals: "psychedelic" paintings on paper, for a couple of the annual dances, designed to pulse with the flashing of gelled spotlights. He went on to study at Carnegie-Mellon, the Art Student's League of New York and the Boston Museum School of Fine Art before graduating from the San Francisco Art Institute in 1973. He took his degree in printmaking and, with a classmate, started "Silver Brothers," a silkscreen printing company in Oakland, California. Two years later they sold their business, and Gordon hit the road, eventually winding up in Montreal, where he began teaching himself oil painting. He worked four summers there as a quick portrait artist in Old Montreal, reactivating skills he’d learned twenty years earlier as a boy in New Jersey. In 1982, Gordon discovered Portsmouth, New Hampshire and moved there, beginning his long affiliation with the area. He set up his studio in Portsmouth's historic Button Factory building, and started showing his drawings, etchings, paintings and collages in the area. 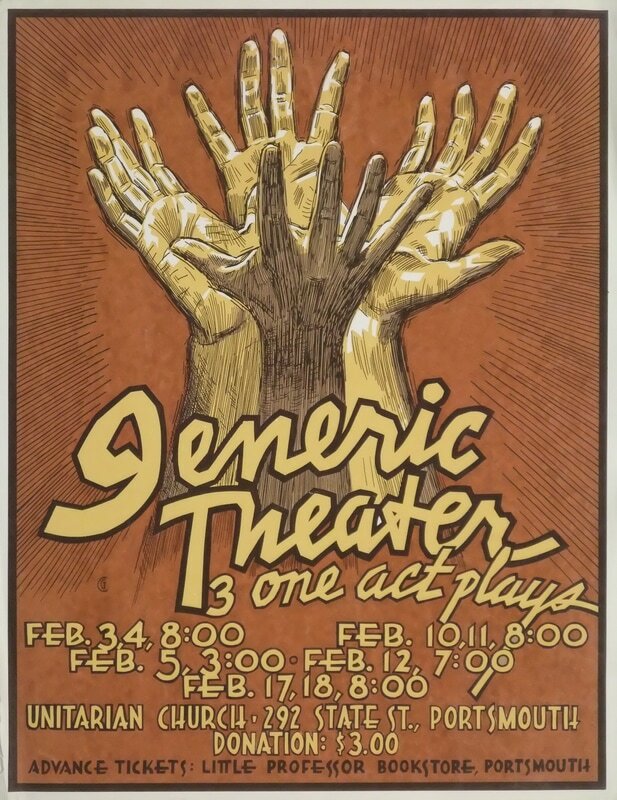 He became fascinated with theatre, designing sets and silk-screening publicity for a local troupe, Generic Theater. 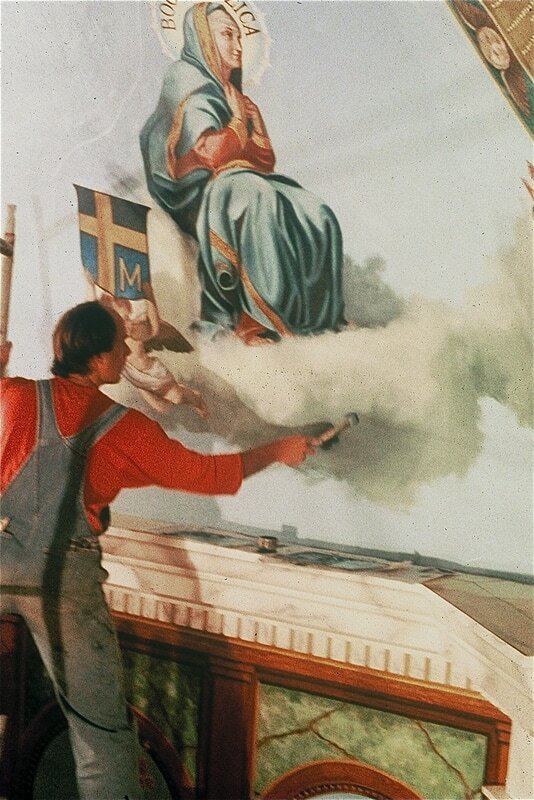 In 1984, Gordon was asked by a small group of budding muralists in Portsmouth to join them for the complete re-decoration of Christ the King Church in Ludlow, Massachusetts. This proved to be a wonderful learning experience, introducing the group not only to the aesthetics of religious Art, but to a host of new painting techniques, like trompe l'oeil, faux marble and faux bois. The group evolved into three, calling themselves "Mural Works," and continued to seek out mural and decorative painting commissions across New England. These included more church and building re-decorations, commercial commissions, Percent for Art awards and New Hampshire's largest mural, "Lest We Forget," in downtown Manchester. In 1994, Gordon left Mural Works to go out on his own. He's consistently been producing murals and Public Art ever since, either for the home or more public situations. Included among these are commissions for Fidelity Investments, NH Hospital, Planned Parenthood League of Massachusetts, the NH Veteran's Home and St. Peters Catholic Church in Portland, Maine, just to name a few. 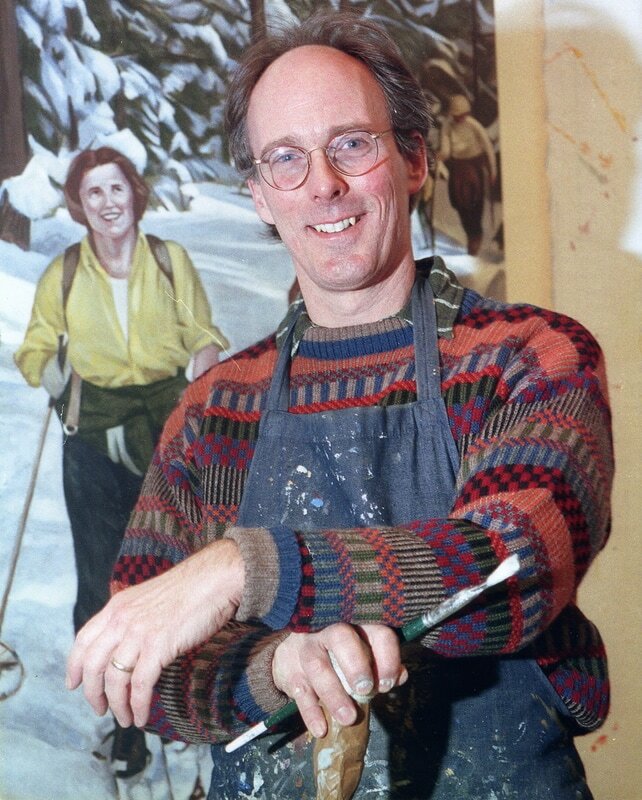 In 1999, Gordon was awarded a New Hampshire State Council on the Arts Individual Artist Fellowship for his activity as a muralist. Out of his Eliot, Maine studio he additionally offers graphics and illustration, portraiture, sign painting and scenic design and painting. 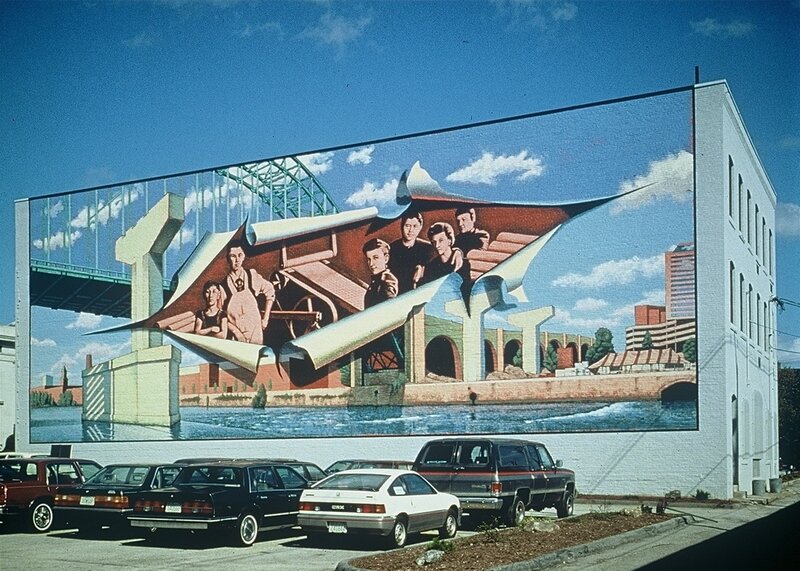 Gordon's mural commissions extend across New England, while his studio artwork has been exhibited nationwide.